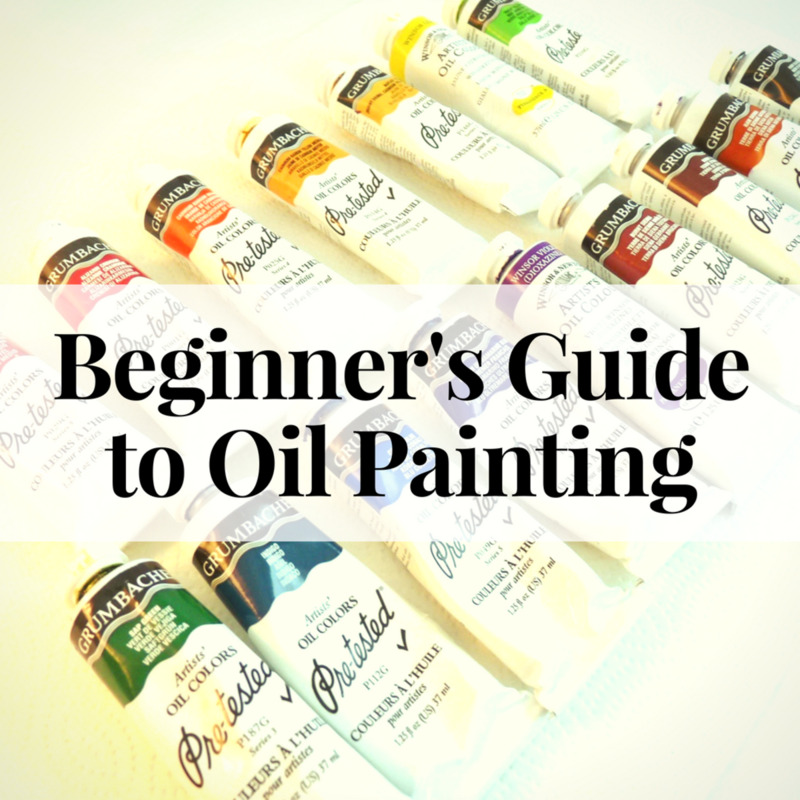 Which oil painting tools and art materials do you really need to get started? When you first start to paint in oils, one common mistake often made is to buy too many tools and materials too quickly. Why is this a 'mistake'? There are two reasons. The first is that it can get very expensive as you'll find a huge range of oil paint, solvents, oils, palettes, brushes, palette knives and all manner of things tempting you to splash the cash. But then, you might say, "I can well afford it, so now what's the problem?" The problem is that it's better to start with a limited range of oil paints, a few well-chosen brushes, a home-made, large palette, and the minimum of inexpensive materials in large quantities so that you can experiment and really work at mixing colours, exploring textures and trying out techniques. Once you've mastered oil painting and oil painting techniques, you can develop your own style and by then you'll know which colours, which brushes, which canvases you are really going to use, and you can then go ahead and buy them. 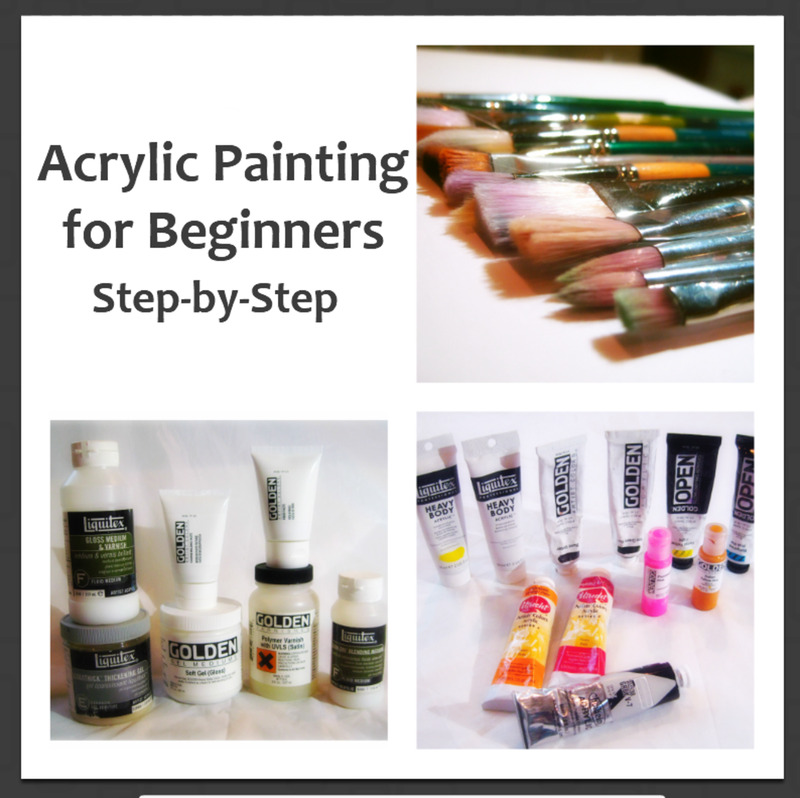 What are the basic supplies needed to take up oil painting as a hobby? You might be surprised to find that I'm going to start with an easel. I consider the easel to be the main art tool. Invest in a really good, solid, adjustable easel and it will last you your whole life. An easel is expensive, but an expenditure well worth making. You can always buy second hand as a good easel is made to last. I'm going to suggest three types of easel: a radial easel, a desk easel and a travel easel. This is the easel that I have and the one you should get if you have space to put it and you are fit enough to stand. This type of easel is the sort professional artists use and the sort you'll find in art schools. It allow you to work on various sizes of supports and you can adjust it up and down, forwards and backwards. You can move towards your work and then stand back to see what you have actually done. You can also draw with your whole arm and also place the support, (board or canvas), in the same plane as your subject. This easel will fold up if necessary. Although the radial easel is a studio easel, I have called the American easel a studio easel for the sake of clarity. These easels are stable and substantial. They will accommodate large works and are adjustable. Get a desk easel only if you are not able to stand for long enough periods of time. The advantages of a desk easel are small size and ease of storage, but you will not be able to draw freely with your whole arm. Your movement will be limited and you won't be able to stand back to see what you've actually done. Use these if you don't have space for a studio easel, or use them for their real purpose, ainting outdoors. They are also known as box easels, (if they have a box incorporated into the structure for paint and brushes, or 'plein air' easels, (French for outside!). These easels are not really heavy enough, or stable enough for professional work in the studio, but they're good for taking out and about and better than nothing. You need a table. Ideally a nice, big table that you can keep exclusively for painting, so you don't have to tidy away your things all the time. Save bits of old clothing etc for rags so that you can clean your palette and brushes. You can use kitchen paper but it's not as good. Keep a supply of old bottles and jam jars for your white spirit. Now you have your easel you'll need something to put on it! 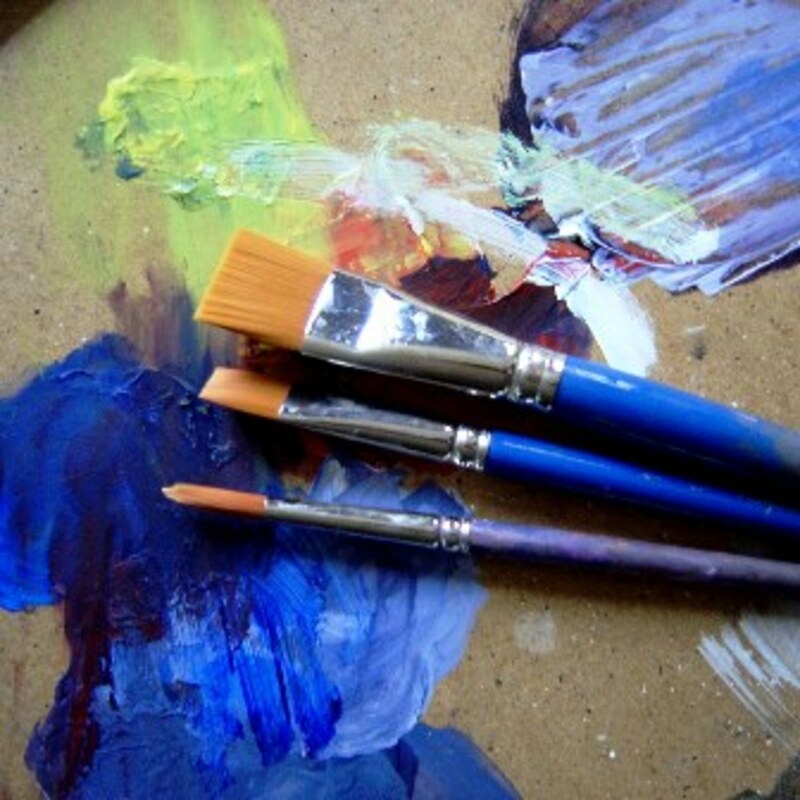 For oil painting there are three main supports: canvas, board or paper. Canvas of varying textures and thicknesses are supported by a wooden stretcher, or can be glued onto a board. They are then primed with paint. This is what I'd choose to use for 'real' paintings. You can reuse a canvas but you lose the intial texture. You can take the canvas off the stretch and turn it the other way round, but then you lose the initial tension. For students who want something cheap and easy to practice on, I suggest buying hard board and priming it with an ordinary household emulsion / acrylic paint. Boards are also good if you want a smooth surface, but if this is going to be a masterpiece destined for the art galleries of the world, you need to buy a more up-market primer. You can also buy commercially produced textured boards. I personally don't like these, but I suppose it's everyone to their own taste. 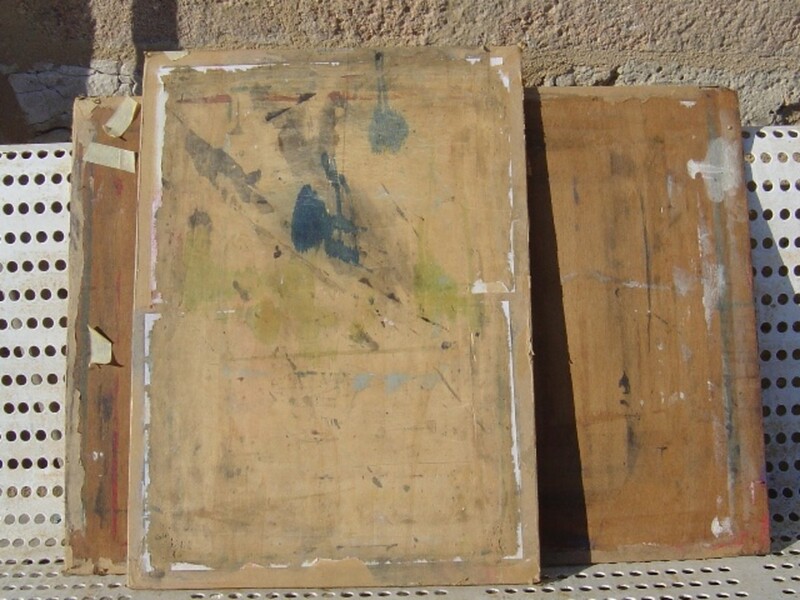 You can buy paper specially prepared for oil painting, and some have the same horrid texture as the affore-mentioned boards. You can also prime your own paper with good old household emulsion paint, but you'll have to stretch it first. If you work on paper you'll need a board to support it. You can just use a piece of plywood from the building merchants or you can buy a special board. I have one of each. You don't need to buy top quality oil paint unless you are a professional who expects their work to be hung in the Louvre. Student quality if fine for beginners. I also think that it is best to start with a limited palette of colours - white, blue, red and yellow. This will get you used to mixing your own colours. You might need a couple of reds to get a good orange and a good purple. As you work you can gradually add the colours you need. For example, I like a Viridian green which I can't mix easily - very strong and biting. I also like a bright, saturated pink such as magenta. 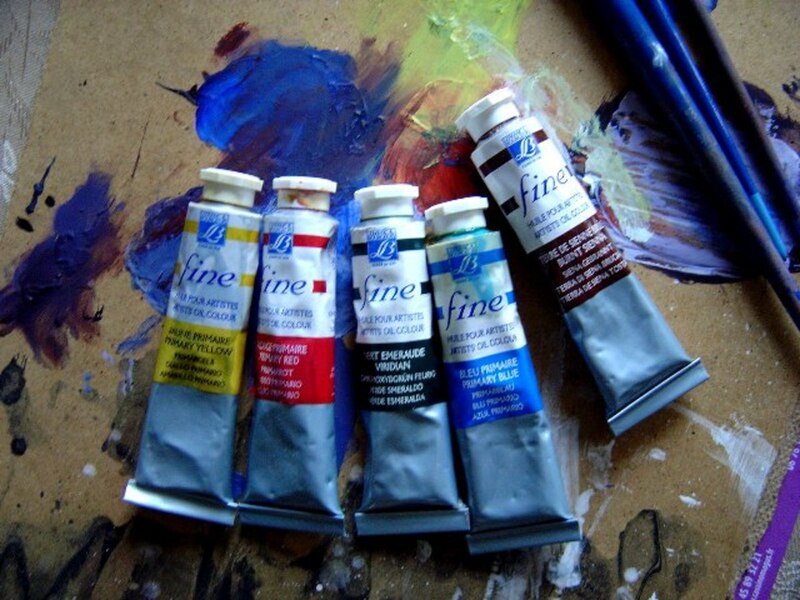 I suggest you get a Titanium white, a cadmium yellow, a cadmium red, a crimson lake and an ultramarine. Don't buy black if you are just starting out. Beginners use black to deepen colours and this often creates muddy colours. Grey's made with black are often dead. Mix your own darks and greys. You will need lindseed oil to mix glazes and thin the paint, turpentine to thin the paint and you need white spirit to clean your palette and brushes. Buy the white spirit from the DIY section of your local supermarket or building suppliers. You can also use ordinary white spirit instead of turpentine to thin the paint. I'd just use that for students and beginners. You can buy posh wooden palettes in 'arty' shapes with thumb holes and the rest, but I like to use pieces of hardboard. I like a nice big palette and I don't like to have it too clean, (as you can see from my pictures). This is partly because I'm slovenly, but mostly because I like to retain a memory of my mixed colours. I think you need a nice, big board so you can mix your colours without being cramped and restricted. About 500cm square would be my ideal. 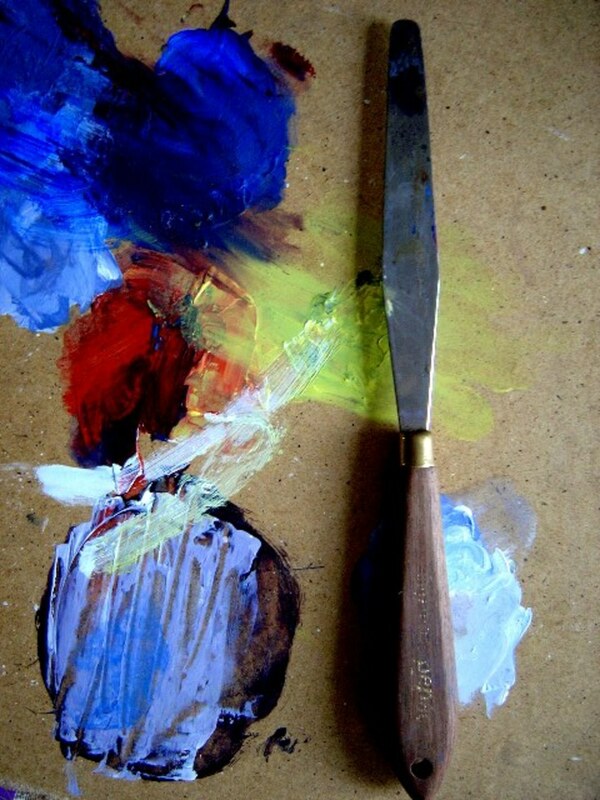 You need a palette knife to clean your palette, but also to apply paint, depending on your style. I like a flat, or straight palette knife, but you might also like to choose a diamond knife. You could get a set so that you have the choice. For beginners I think sets of brushes are a good idea. I use sable, nylon/synthetic and hogs hair. I find the first two interchangable, but the latter are good when you want a stiffer brush. You'll need a range of brushes from small, soft brushes with a fine tip for detailed work or fine lines, and wider brushes to get paint onto the canvas. You'll need round brushes and flat ones. Get a range of reasonably priced brushes until you have established your style and needs. These are just my ideas, but other artists have different ideas about how to set themselves up and which materials they like. Here are a couple of other artists who share their working methods with you. My oil color isn't drying fast enough. Would primer help? Oils take a long time to dry depending on how thick the paint is. If you put it on very thickly, it can take many days, even weeks to dry. 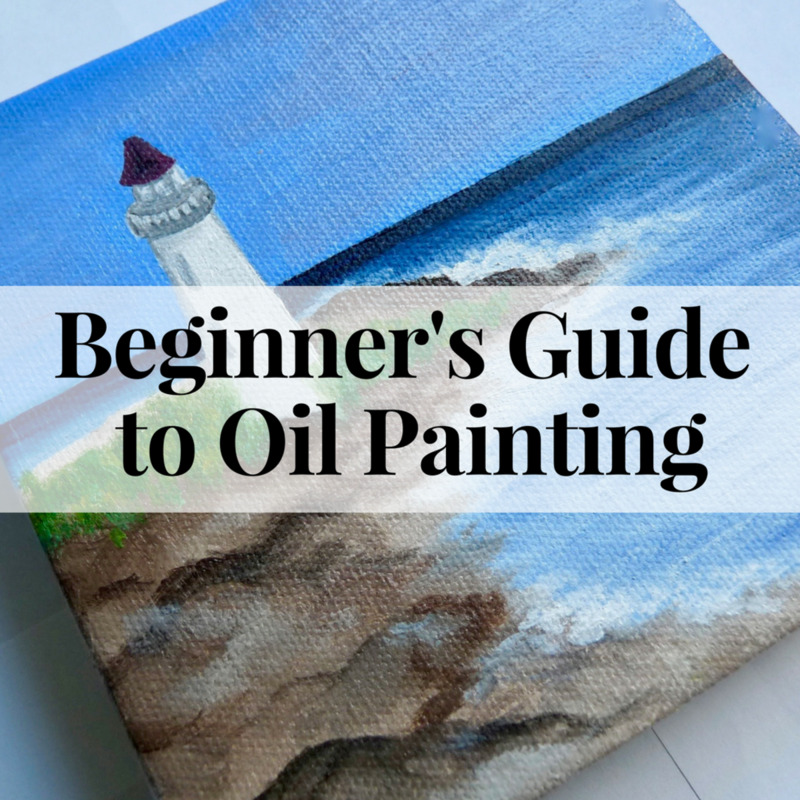 You don't have to use a primer but the oil will damage canvas without it, and your paintings might deteriorate over time. Primers give a good surface for the paint, and you can use the color to good effect, for example, white for luminosity, brown for warmth, etc. How can frame my oil paintings? I used to make all my own frames. You do need some specialist equipment which is worth buying if you are framing a lot of pictures. You need to be able to miter the frames accurately, cut mats and cut glass. You also need to be able to buy the framing. If you do want to do it yourself go on YouTube for some tutorials. I must take pictures and write a hub next time I frame a painting! Hi Gunther. Many thanks for dropping by and leaving this message. Good luck with the painting. 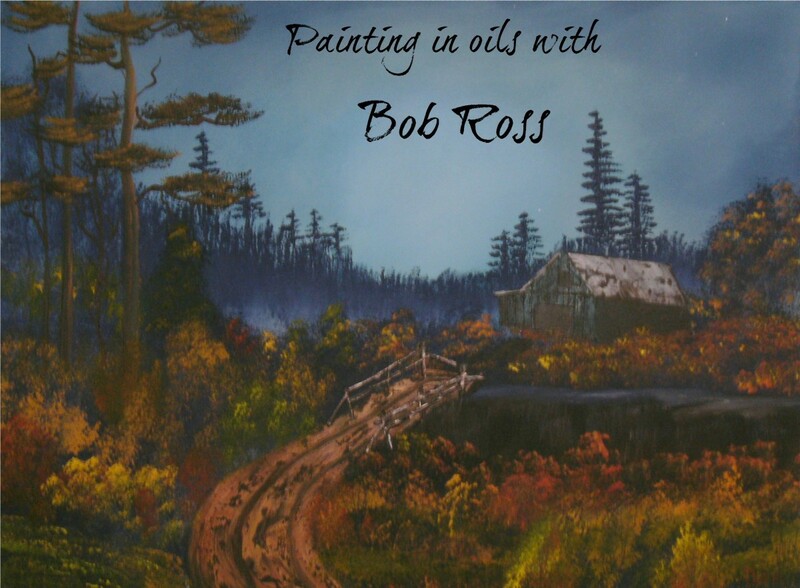 I am new to oil painting and found his advise very helpful good tips how to keep left over paint etc. Oils are great and not really tricky; but depending on the technique can take longer if you have to wait for the paint to dry. Main problem is the smell if you don't have a suitable space to work. I do hope she enjoys her new hobby. Thank you for taking the time to leave a comment. Thank you so much. My daughter has discovered Bob Ross and wants to paint. Not sure Ill start her in oils, but this is very useful. Many thanks for dropping by. My photography improved no end when I began writing for HP. Something to aim for! Hello again LTC. Saw this and thought I'd have a dekko. Although Turner started on water colour he turned to oils as he grew older, and more vague with it (although that's probably more to do with his eyesight failing). I did a few experiments back in the 70s with oils on block board, basically blue, orangey-red, black and white, but my art school interests were in commercial art (at Scarborough, '62-65). We had easel seats, a sort of short bench on four legs with hinged a lift-up panel that was kept rigid with a 'back-stop'. I used to get about Scarborough with a sketchbook (we were told time and again, 'Take your sketchbook with you!') doing drawings. I used it for experimenting with light and dark shading to make things look more 3D. I used to stay at a small B&B at Catterick Village where the woman who ran it went out sketching in water colour as far away as upper Swaledale (old lead mine ruins etc). I'm more into photography. It helps illustrate my Hub-pages and I don't have any materials to lug around, although I've seen some places that would look good on canvas or paper both high up and down by the sea (Staithes, Runswick, Whitby, R H Bay (Bay Town, or 'Bramblewick'). Do come back and let me know how you got on Becky. Thanks for leaving a comment. Thank you so much, Samita, for dropping by. Glad to hear that you found it useful. Thank you, Christy, for these kind words. It's not always easy at first to know what to buy and what not to buy. 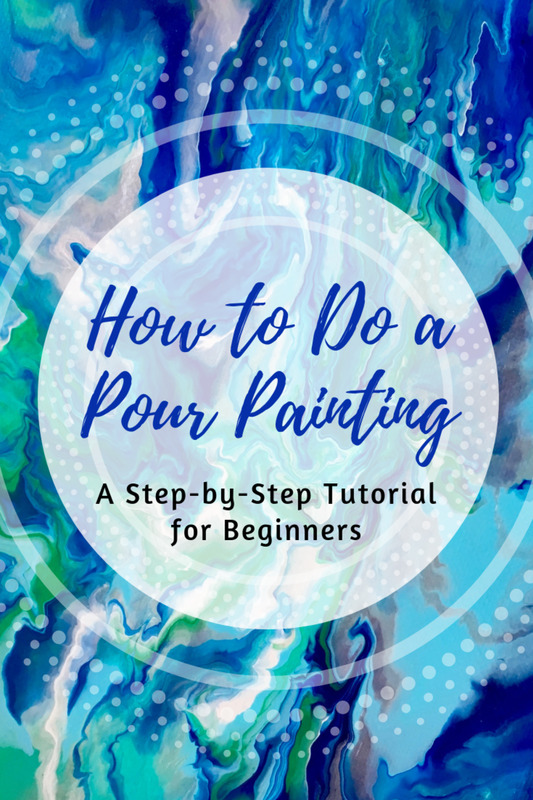 What a great intro to painting - with photos and videos too. Great. Pleased you found it useful. Choosing art materials can be very perplexing for a beginner. 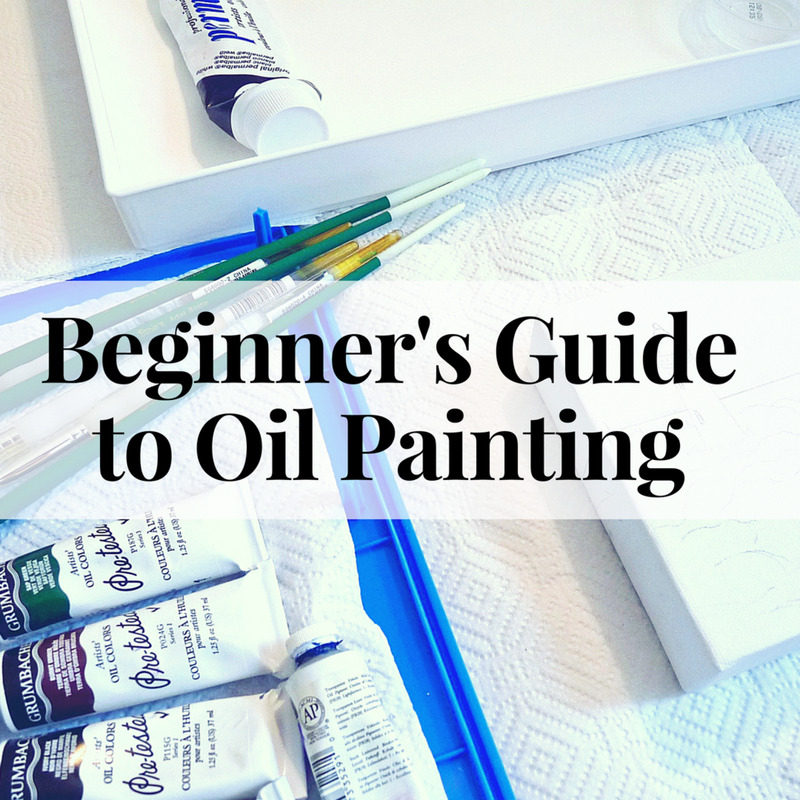 Thanks for all this great and useful information, it will help any beginner who is looking to start oil painting . Well done ! Such a lovely, little story Nell. Sounds like you need my painting holiday badly! Many thanks for your visit. Thank you so much for your message. I'm so pleased that you enjoyed the article, Derdriu. The tools of the trade are as important in painting as any other metiere. Les Trois Chênes, Your article reads like a wonderful introduction to a class on oil painting! In particular, I like the explanations -- such as of the different easels -- and the accompanying photogenic example. The light looks most enticing in your closing photo! Thank you for sharing the information about your online classes and for providing the link. 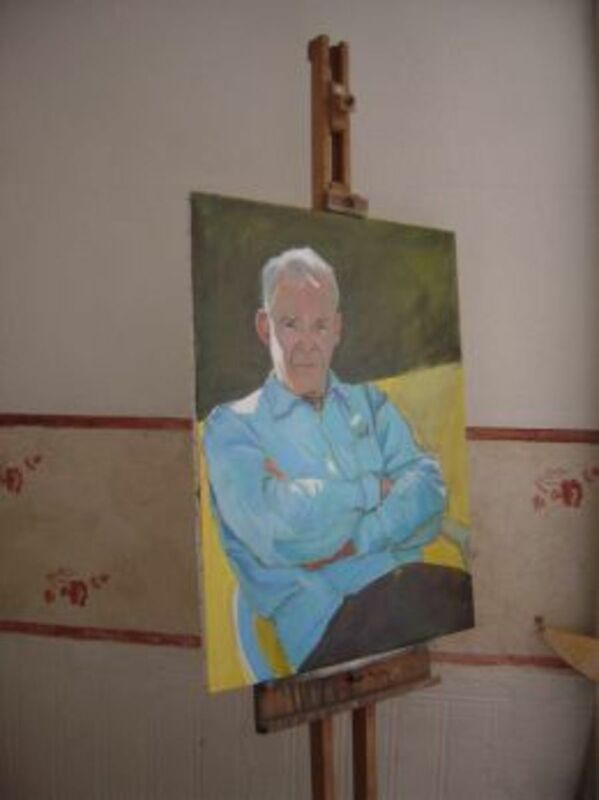 Hahaa, this makes me want to drop what I'm doing and go to France for one of your painting courses! I've painted with acrylics and water colors but never oil paint. Now I really want to! Thanks so much for your message of support, Toni T. Much appreciated. It is rather! I'm already a bit behind with the next tutorial, but I guess my students have plenty of reading, observing and sketching to do. Many thanks for leaving this message. Hey, this is a great, clear and up-front article addressing a single question/issue. Well done, and thank you for writing it. I just checked your School of Art website out, very big undertaking. Thank you so much rembrandz, for this huge vote of confidence. I learnt a thing or two from the videos too. Never too old or too experienced to learn new tricks. I'm looking forward to updating my knowledge by writing the content for the School of Art. Wow what a lovely hub. I am not a novice artist, yet had a lot of tips to pick up from yourself, and the other artists' videos.